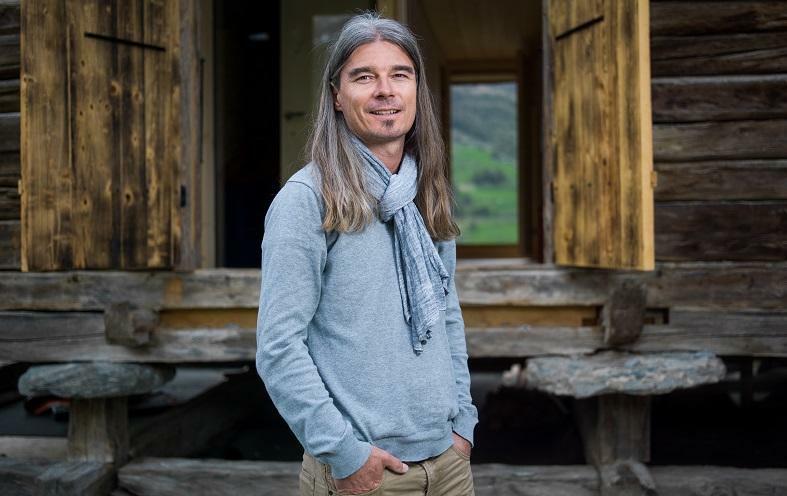 Olivier Cheseaux, architect and manager of Anakolodge in the Valais region of Switzerland, illustrates how innovative architecture and design can contribute to sustainable buildings and destinations – and the survival of entire villages. 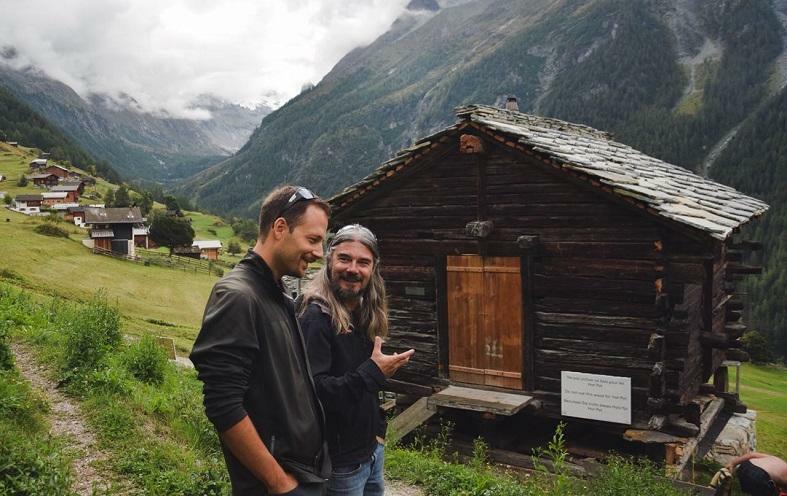 Our interview with Olivier is part of a special series of interviews with Swiss sustainable tourism leaders and changemakers. Olivier, as architect you specialize in rescuing old buildings and turning them into contemporary Swiss mayens – rustic mountain chalets. Why? The duty to remember… our ancestors worked under difficult conditions to build these objects of “survival”. Life in the mountains was complicated, cold, snow, famine… It was important to me to restore them and to give them a second life. It was first necessary to understand each object and its unique nature, before transforming them into a place to live, a tourist place. You are the creator of anako architecture. Briefly, what does this concept stand for? For me, the location is always the starting point of an architectural project. You don’t build the same object twice because each plot is unique! Anako architecture is the starting point of this whole philosophy of respect for a place, for the heritage, for the people who will live there. Anako is the name of an old orejone Indian and shaman. The people of Anako lived in perfect harmony with nature. Their homes were fitting perfectly in the native American forests. My idea of architecture has an identical purpose: to create an accommodation that respects and preserves its location. For me, each place deserves its own architecture, just as each anakolodge mayen is unique. Sharing platforms like Airbnb have become quite a headache for many popular city destinations, but also present massive opportunities for less touristic, remote places. Which has been your experience? Do you use them for the promotion of Anako Lodge? Airbnb is a global player in innovative tourism. Anakolodge was inspired by the sharing philosophy behind Airbnb. Excesses encountered in urban destinations do not apply to a concept like ours. We offer our mayens to tourists to give those buildings new life. Through Airbnb it was possible to advertise Anakolodge around the world without being affected by off-peak seasons. Holiday seasons are not the same in Switzerland, Australia, or China. This allows us to be open 365 days a year. Which aspects of building Anako Lodge did you find the most challenging? To make the builders and carpenters appreciate the heritage… I wanted to recover everything; old beams, boards… It is easier for them to use new materials and get rid of old stuff. I had to fight to get there. From the tourism perspective, no one except my wife believed in my vision to offer a return to basics, tranquility, NOTHINGNESS! Getting financial support was difficult, because my project did not meet the expectations of bankers, used to calculating investment opportunities based on immediate profit. Anakolodge is a long-term project, expected to run over at least two generations. In times where the economy has become more local, circular and based on usage rather than ownership, how can villages use this momentum for securing their economic viability and well-being of their residents? Precisely, here in this valley the tourist economy was based on sales of holiday homes. New constructions are prohibited since March 2013. At Anakolodge we work with local people, the grocer, the restaurateur, the cheese monger. And that’s totally new. The added value created by Anakolodge is spread over several actors, including local people, and that is our philosophy. We work together, we increase our skills and we all experience benefits from tourism! Social businesses like Swiss Youth Hostels have for a long time practiced a business model which goes beyond financial gain. Can you briefly describe the business model and philosophy of Anako Lodge? I always say that Anakolodge is a mixture between a youth hostel and a time-share cottage. I don’t want to produce something, I just want to connect different people and partners. If you want a service, you contact the grocer, the restaurant owner, the ski school. If you want to stay in the mayen, to cook on a wood stove, everything is planned for. What role do architects and real estate developers play in sustainable tourism planning and development at a destination level? Currently, none! The developers build to sell without caring much about sustainability. Anakolodge is a small drop in the tourism ocean, but at least it’s a little answer… I hope that architects and investors will follow the same path in the coming years. To your mind, is there a good synergy between destination managers, property developers and architects in Switzerland, in terms of sustainability strategies? It’s a difficult question… in my opinion no. At the moment, profit takes precedence over sustainability. A whole way of thinking needs to be reviewed and reinvented. In my opinion, there is unfortunately nothing currently in place to create this dynamic. Sadly. Which trends do you observe in architecture right now, which might support or hinder a more sustainable tourism industry? I see more and more young, private individuals or architects who want to make a difference. But often these projects do not see the light of day because investors don’t support them. Which 3 bits of advice could you share with other architects and real estate developers in terms of how to succeed with sustainability? I don’t like to give advice, I prefer to share my experiences. You have to believe in your project, find partners who want something sustainable, respectful and who agree to work for a living. Sharing the fruit of your labour with local partners, your family, that is what is sustainable. People must wake up. Our planet is in survival mode and our politics and the economy only focus on short-term gains. But people can make a difference, even with small initiatives like Anakolodge. For more about Olivier’s work, visit the websites of Anakolodge, Anako Architecture, or follow Anakolodge on Facebook and Instagram. Our interview with Olivier Cheseaux is part of a special series with sustainable tourism leaders and changemakers in Switzerland, supported by Swiss Youth Hostels, Swiss Travel System and SWISS. Enjoyed our interview with Olivier Cheseaux of Anakolodge in Switzerland on how innovative architecture and design can contribute to sustainable buildings and destinations? Spread the word!